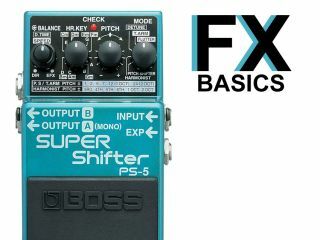 Guitar FX basics: What is a pitch shifter? This video lesson focuses on pitch shift. A pitch shift pedal mixes the dry unaffected guitar signal with copy of the note being played but at a different pitch. Modern pitch shift pedals often feature intelligent pitch shifting, meaning once the key of the song is set, the pedal will harmonise along with your playing. Listen to the video below to hear how this sounds.